This series about Royalty is posted by Museum Intern Hannah Bothner. Join us in the coming weeks as we prepare to open our newest exhibit, "Creating the Crown: Developing Royal Dynasties." For three centuries the Romanov dynasty ruled Russia, but Romanov rule came to an end with Tsar Nicolas II, the Last Tsar of Russia. 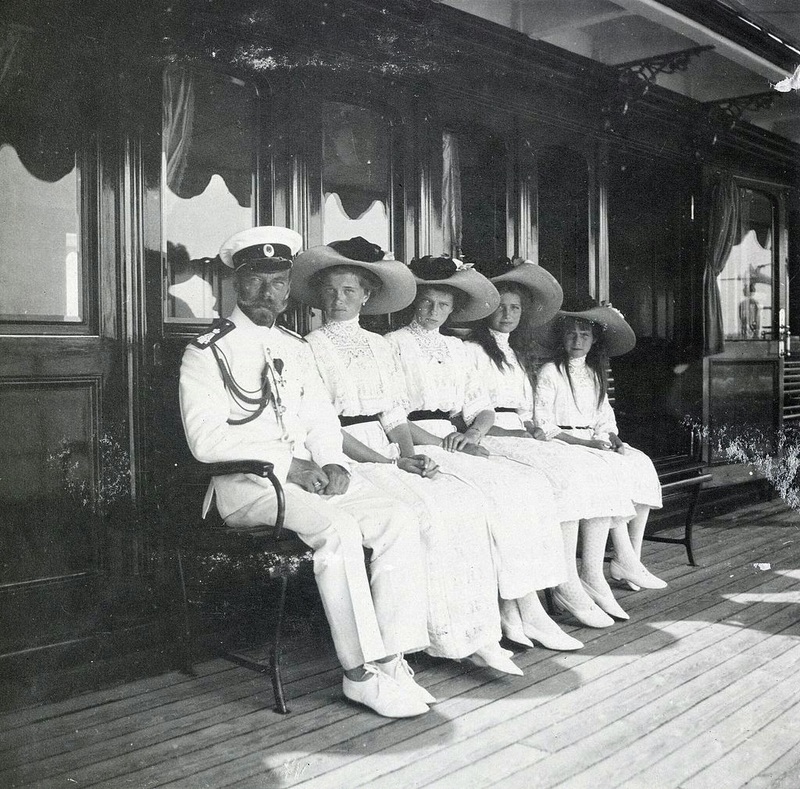 Tsar Nicolas II and his daughters. Tsar Nicolas II was born in 1868 and was crowned Tsar in 1896. He was not well prepared for this new role, nor did he really want to be tsar. Despite this, he insisted on absolute autocracy and did not allow for an elected body of officials until 1905. Even then, Tsar Nicolas often dissolved the elected body when they did not agree with him. 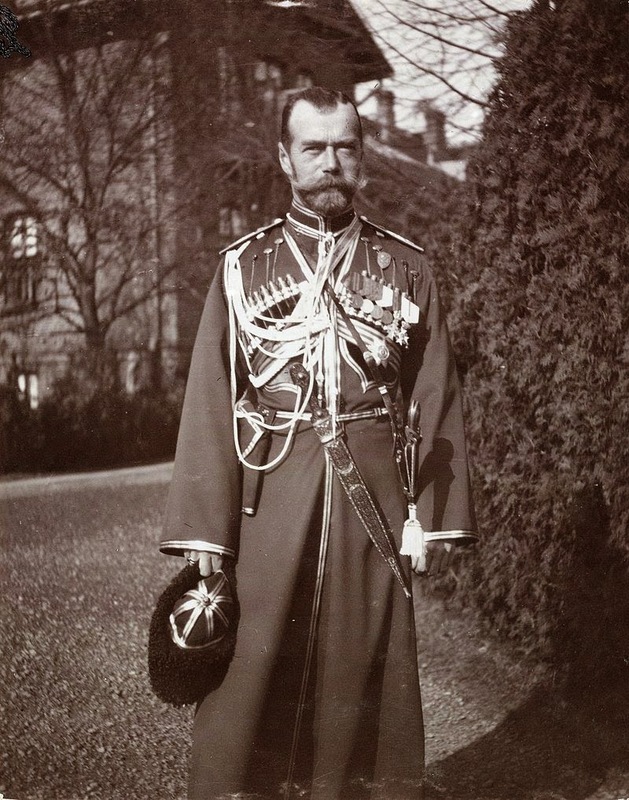 Tsar Nicolas II, the Last Tsar of Russia. In 1894, shortly after his father’s death, Tsar Nicolas wed Empress Alexandra. Together they had five children, Olga born in 1895, Tatiana born in 1897, Maria born in 1899, Anastasia born in 1901, and Alexei born in 1904. Alexei, the youngest and only boy, was the long awaited male heir. Unfortunately the family soon discovered that Alexei had hemophilia, a rare blood disorder. This made Alexei a very sickly boy and his mother turned to Grigori Rasputin, a failed monk with alleged healing powers, for help. 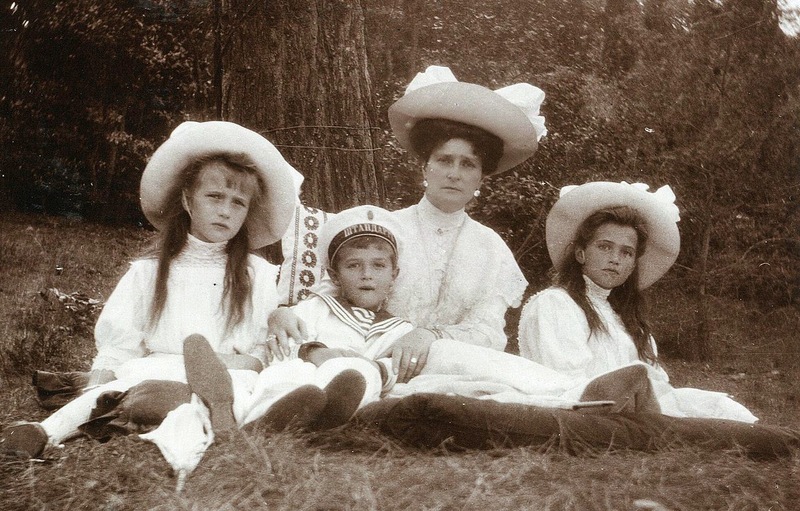 Empress Alexandra and her three youngest children, Maria, Anastasia, and Alexei. In 1905, a series of events began that eventually led to the fall of the Romanov dynasty. The first blow was Russia’s defeat in the Russo-Japanese war; that same year, the Russian working class held a large but peaceful demonstration to improve working conditions and establish a popular assembly. During this demonstration, troops were called to fire on the demonstrators and over 1,000 civilians were killed. This was soon known as “Bloody Sunday” and was a major spark of the Russian Revolution. The Revolution was only stopped by the creation of a popular assembly, the Duma, later that year. 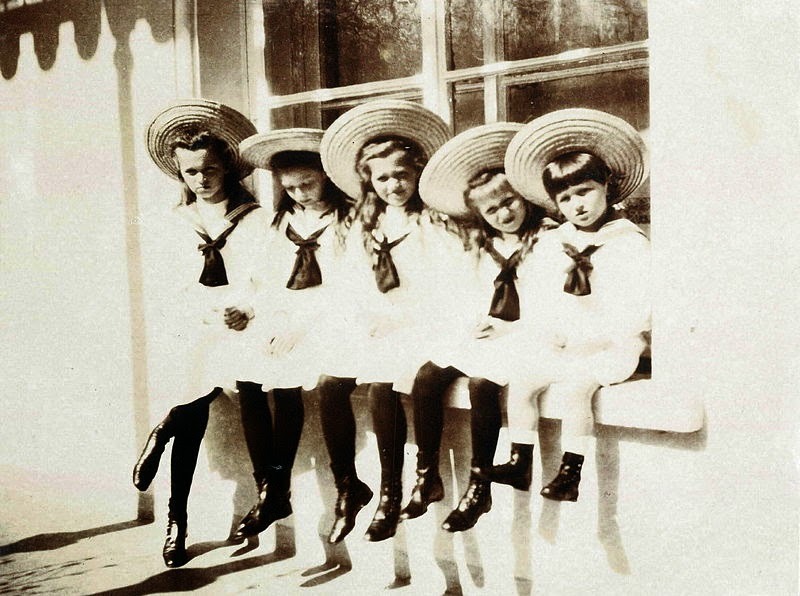 The children of Tsar Nicolas and Empress Alexandra are often referred to as OTMAA. The Romanov dynasty received the final nail in the coffin at the start of World War I. At the start of the war the Russian troops performed so poorly that Tsar Nicolas appointed himself the Commander-in-Chief of the army. This meant that the Tsar was away from home much of the time from late 1915 to August 1917, which left Alexandra in charge at home. She soon relied on Rasputin for more than just Alexi’s health and turned to him for political advice. As Tsar Nicolas’ appointed ministers resigned, Alexandra replaced them with her own appointments; these decisions were heavily influenced by Rasputin. Rasputin was eventually murdered by nobles in 1916. By 1917, due to the war, food was very scarce, poverty rates were high, as was inflation, and Russia had faced major losses in WWI. The people blamed Tsar Nicolas for his poor military decisions and Alexandra for her ill-advised role in government. The Duma turned against Tsar Nicolas and his family and set up a provisional government; the Tsar was forced to abdicate in 1917 to prevent a civil war. The family was taken to the Ural Mountains and placed under house arrest. Eventually the provisional government was overthrown by the Bolsheviks in 1918 and a civil war still took place. 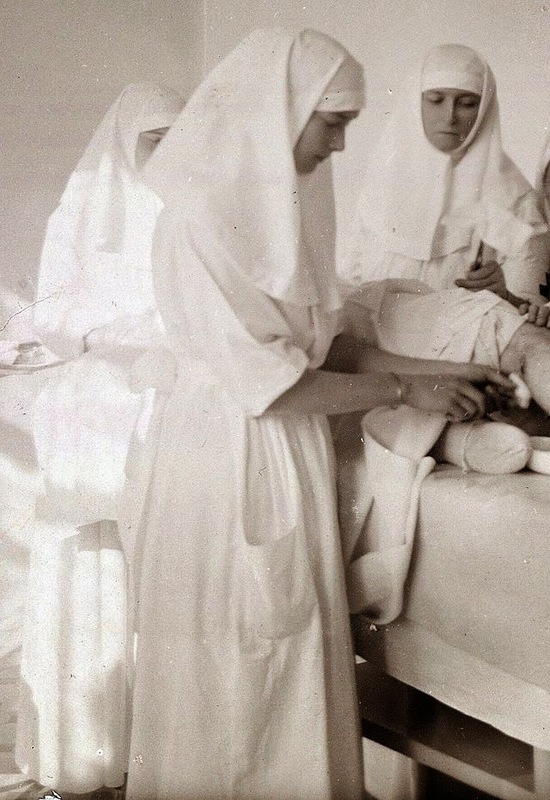 During WWI, Olga and Tatiana served as nurses. This is Tatiana bandaging a wounded soldier. On July 16, 1918, the Romanov family, along with some of their remaining servants, were brought into the cellar of the house in which they were being held and were executed by the Bolsheviks under Vladimir Lenin. For many years after, it was speculated that Anastasia and Alexei survived the firing squad due to jewelry sewn into their clothes for safe keeping. Many women have even come forward over the years saying that they were Anastasia. In the 1970s, the grave in which Tsar Nicolas, Alexandra, Olga, Tatiana, Maria and the servants were buried was discovered. In 1991 DNA proved that it was indeed the Romanovs, but Anastasia and Alexei were still missing. In 2007 another grave was found near the first, and once again, DNA evidence proved that the bodies were indeed the missing Grand Duchess and Tsarevich. 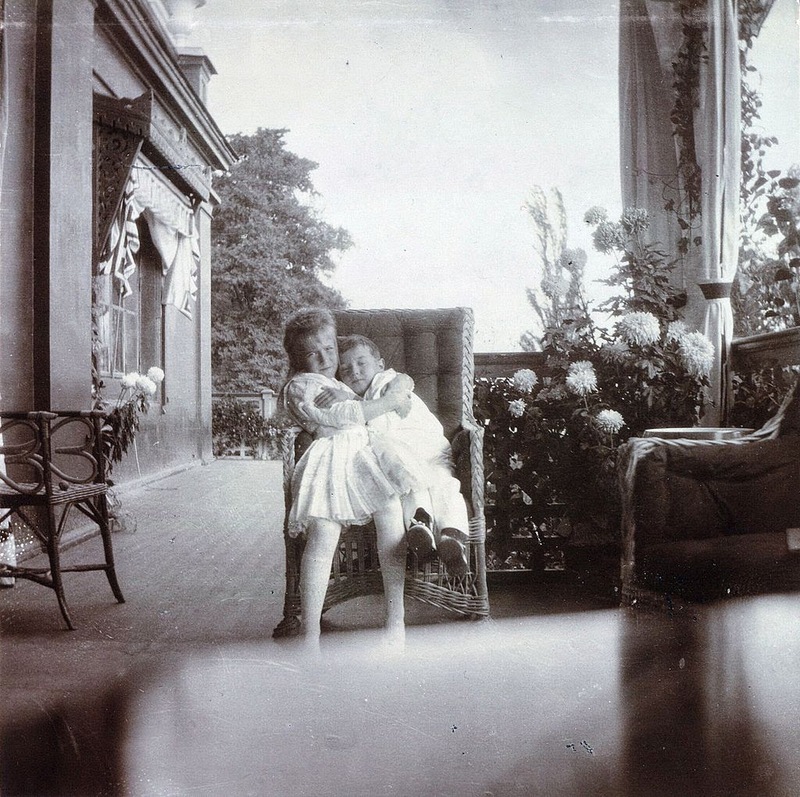 Anastasia and Alexei, the two youngest children. In the final weeks leading up to the unveiling of our new Creating the Crown exhibit we will highlight royalty throughout history here on the blog. Check back each week to learn about various royal families throughout the centuries. Are you a Museum Member? Please join us for our exclusive exhibit opening on Thursday, July 17 at 6:00 p.m. The exhibit will open to the public on Sunday, July 27, the day after the Museum’s annual fundraiser. For more information please visit our website or contact the Museum at 316.263.1311.